NHS Northamptonshire has terminated its contract for commissioning support with UnitedHealth UK a year early. The primary care trust signed a three year deal with UnitedHealth, under the framework for procuring external support for commissioners, in 2008. NHS Northamptonshire chief executive John Parkes said both sides had agreed to conclude the project in July, 12 months early. Mr Parkes noted the partnership had “notable successes”, including improvements in the use of data and pathways for patients with chronic disease. UnitedHealth used the Northamptonshire deal as a case study in its evidence to the Commons health committee inquiry on commissioning in January, setting out how the framework had enhanced NHS commissioning. UnitedHealth’s submission said PCTs were “not always able to build critical mass to be world class commissioners” on an individual basis. NHS Northamptonshire improved moved up this year’s world class commissioning league table by five places. The government has reignited the political debate about private healthcare companies delivering NHS treatment. On a spotless hospital ward pensioners displaying fresh bandages were delighted their knees and hips had just been replaced by the NHS. The surgery had been as good as going private, they declared. Which was what, in fact, it was. Their confusion was understandable. The sign at the door reads North East London NHS treatment centre. The unit may be based in the same complex as the local NHS King George hospital in Ilford, Essex, and free at the point of delivery, but it is an independent sector treatment centre (ISTC) – a commercial venture, with the surgery provided by private company Care UK. The mix of private and public healthcare providers within the NHS means that it is hard to disentangle one sector from another. Senior consultants at the ISTC have contracts to work in both the adjoining hospital and the treatment centre; other staff are on loan from the NHS. No private patients are treated. Soon, medical students will be training in Care UK’s facilities. Labour’s pronouncements since then on patients’ rights, and what is known as the “private patient cap” – the percentage of private treatments that hospitals are permitted to carry out – have set political compasses spinning. While the private/public divide has not been a significant battleground between Labour and the Conservatives in recent years, competitive tendering processes and residual ideological suspicions are now reviving the dormant row. Burnham’s promise that the NHS should be the “preferred provider” has been interpreted by the private sector as a snub, and by health unions as a signal of Brownite support for traditional Labour values. Parish estimates that 6% of all NHS work is currently carried out by private firms including Spire Healthcare and UnitedHealth UK. Care UK runs a further nine ISTCs, urgent care centres in Luton, and healthcare services in Brixton prison. The company is considering bidding for what would be the first privately run NHS district general hospital at Hinchingbrooke in Huntingdon. Parish fears the “preferred provider” publicity will blight his chances. He is proud of the firm’s very high patient satisfaction rates and its clinical record in the NHS of no cases of MRSA infections. Care UK has, however, just lost one landmark battle. Awarded the tender to provide a GP-led health centre by Camden PCT in north London, it had to abandon the contract last month when anti-privatisation campaigners won a judgment in the high court that forced the trust to go back and ask the public whether the area actually needs a GP-led health centre. The government’s decision to review the private patient cap – while instructing Labour peers to vote down a proposal raising the minimum permissible level of private work to at least 1.5% of treatments in all NHS foundation trusts – has also helped to reignite the issue of private sector involvement in the NHS. Sue Slipman, director of the NHS Foundation Trust Network, says trusts want to raise the cap, not in order to treat private patients but “because they want to go into joint ventures to bring in money to their hospitals and support expansion of NHS provisions”. Burnham’s announcement that in future patients will be legally entitled to free private care if not treated by the NHS within 18 weeks has added a further twist to the debate. The British Medical Association is concerned that this will lead to more NHS work going to private providers, with destabilising effects on hard-pressed NHS services. Back at the North East London treatment centre, the relieved patients were not perturbed about the origins of their free NHS surgery. Instead, they were looking forward to going home quickly. The Oadby and Wigston Conservative Group has raised serious concerns over the effect of the new 8-8 Health Centre in Oadby on patients and existing GP surgeries. Already district nurses housed in the Oadby Clinic, which is to be converted to an 8-8 centre, have been told to vacate the premises before Christmas. NHS Leicestershire County and Rutland voted to go ahead with the 8-8 centre on 5th November but the impact of the centre on local GPs and patients is worrying local Conservatives, with major concerns yet to be addressed. District Nurses, presently housed in the clinic building, have been told they have to move within the next month, jeopardising the care and services they provide. Concern whether the centre will bring additional funding or whether existing surgeries will have their funding reduced. Where the new practice will draw its own registered patients from and the effect of losing patients on smaller practices. It is unclear what will happen to profit made by United Health Primary Care, an American company, and whether it is ploughed back into local healthcare or simply skimmed off by shareholders. The existing site for the 8-8 centre is too small for the proposed services and it is unclear how expansion will be achieved without moving site again, further confusing and disrupting local healthcare. The lack of consultation by the PCT with our local doctors and patients. There is little evidence of surveys and other consultations and the process used in the decision to site the centre in this location. Conservatives are extremely disappointed at the lack of leadership shown by the Oadby and Wigston Borough Council in waiting so long to consult with residents and in their lack of support for their local GP surgeries. Furthermore, they are also highly displeased that many residents are only finding out about the new centre after it has been announced in the press. A public meeting has been called for 15th December after pressure from Cllr. Colin Gore, Leader of the Conservative Group at Oadby and Wigston Borough Council. Patients in Leicester will get a huge boost to their health care thanks to a £15million investment for new General Practitioner (GP) practices and a GP-led health centre. This means two new GP practices and a new GP-led health centre are to open next year with a further practice planned for 2010. Additionally there will be new premises for an existing GP practice. For the first time in Leicester, patients will be able to access GP or nurse-led healthcare, at a new walk-in centre, without needing to be registered at any practice. The announcement of preferred bidders for new contracts heralds world-class primary care services for Leicester. This will mean more GPs and nurses serving the city, better access to local healthcare, longer opening hours, and more choice for local patients. 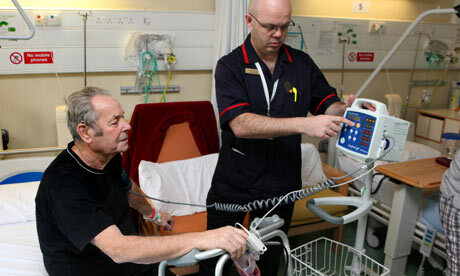 The plans are set to benefit more than 15,000 Leicester patients by 2013, with local patients being able to choose from a wider range of doctors. The contracts are for the management of clinical services run from the new GP-led health centre and the two new GP practices. Additionally, a full relocation package is being announced for an established local GP practice. The process started with a rigorous six-month tendering process which received 46 initial expressions of interest from potential bidders. The evaluation process involved bidders providing detailed information with the short-listed giving interviews and hosting site visits. A panel of health and other professionals, including a GP and patient representative, worked on the assessment of the proposals. In addition The Willows Practice will be relocating to Rowlatts Hill. Leicester’s Canon Street Surgery, run by GP Dr Bhupendra Modi, is the successful bidder for the new Northfields GP practice in the north of the city. It will be housed in temporary accommodation on St Ives Road until the planned new premises are built. Canon Street will continue as a GP practice and both it and Northfields will be run by Dr Modi, who is also a clinical GP trainer. An estimated 6,000 additional patients will be able to register at Northfields. UnitedHealth Primary Care will run the new city centre GP practice which will have the capacity to see a potential 6,000 patients. The practice will be at 29/31 Bowling Green Street. The company already runs two successful GP practices in Derby, Normanton Medical Centre which opened in 2006 and Vidya, which began seeing patients earlier this year. The company also has three GP practices in London. SSAFA Community Interest Company will run a new GP-led health centre within the new Charnwood Health and Social Care Centre in the Charnwood area of the city. SSAFA CIC opened its first UK health centre in Luton in July this year but runs primary care practices all over the world. An estimated 3,500 patients will be able to register at this practice. The site will include a walk-in centre for unregistered patients – anyone will be able to see a nurse or GP here. The organisations were all chosen for their ability to deliver world class health care to the people of Leicester. They were subject to extensive assessments on standards in quality of care, patient experience and value for money. NHS Leicester City has decided not to award a contract for the originally proposed planned new premises in Crown Hills. Instead The Willows Practice, currently situated on Coleman Road on the edge of the Rowlatts Hill estate will relocate to a development at the heart of the estate. These new premises will improve access for the people living in Rowlatts Hill estate and provide the opportunity for the practice to extend its range of services. Dr Mo Roshan, who leads The Willows, is a clinical GP trainer and has worked in Leicester since 1990. The practice currently serves 3,000 patients. It is expected Charnwood Health and Social Care Centre will open its doors from the end of January next year. The new Northfields practice is set to open its doors from next May while United Health’s city centre practice will open at 29/31 Bowling Green Street from September 2009. The new Northfields practice will be housed in state-of-the-art temporary buildings until the permanent premises are completed. Leicestershire and Rutland Local Medical Committee chairman Dr Nick Simpson said: “The LMC welcomes this announcement. We are pleased that an existing local GP practice has been successful and that these new contracts will not all go to a single private sector company. “We are also glad that NHS Leicester City has listened to feedback and responded by identifying an alternative solution to meeting the needs of residents in the Crown Hills area. NHS Leicester City plans to launch another new GP practice elsewhere in Leicester in 2010. NHS Leicester City’s overall objective is to meet the health needs of the people of Leicester within the available resources. It is accountable for a budget of approximately £470 million, and serves a population of more than 340,000 people. Within its remit, the Trust is responsible for engaging with the local population to improve health and well-being; commissioning a comprehensive range of high quality health services; directly providing health services where this is most appropriate, and ensuring that it gets best value for taxpayer’s money. Clinical GP trainer: Trains registrars (new doctors) to make the transfer from being a hospital doctor to a community general practitioner. A PCT is facing a High Court battle over its decision to award a GP-led health centre to private firm Care UK. Residents have begun legal action against NHS Camden over an alleged lack of consultation on the centre. Legal firm Leigh Day and Co has issued an application for Judicial Review on behalf of claimant Bob Austin, a former councillor backed by anti-privatisation campaigners. The case centres on a consultation document recently issued by the trust about its GP services, which included information about plans for a GP-led health centre. The consultation was not due to finish until October but the PCT announced on 31 July that Care UK had been selected to run the clinic. Opponents of the new centre, which will be located close to Euston station, believe it could lead to the closure of local GP practices and are demanding a full consultation. Dr Mark Atkinson, NHS Camden chief executive, said the trust would ‘rigorously defend’ itself against the accusations. The PCT also found itself at the centre of controversy over an APMS tender in 2008, when it awarded three local GP practices to UnitedHealth, despite a rival GP bid being rated higher for planned service provision. The Keep Our NHS Public campaign group are threatening NHS Camden with legal action over an alleged lack of consultation on a new GP-led health centre in north London. The anti-privatisation campaigners, supported by local GPs and patients, are demanding that the PCT suspends its plans for a new Darzi centre near Euston station, pending a full local consultation. Legal firm Leigh Day and Co have served the trust with a letter before action on behalf of a local pensioner, Willibald Davies, which claims the PCT have not consulted adequately on the procurement, and should immediately cease the process until a full local consultation has taken place. Opponents to the new centre, which will be run by private firm Care UK, believe it could lead to the closure of local GP practices in the area. The controversy centres on a consultation document recently issued by the trust about the future of Camden’s GP services, which included information about the GP-led health centre. Although the consultation is not due to finish until October, the PCT announced on 31 July that Care UK had beaten local GPs to run the clinic. Local campaigners have also threatened to organise a public boycott of any new clinic if their demands for a full consultation period are not met. The latest battle is the second time in as many years the PCT has found itself at the centre of controversy over an APMS tender. In 2008, the trust was heavily criticised for awarding three local GP practices to US-giant United Health, despite local GPs being rated as offering substantially better services. Camden was also one of two north London trusts which held secret talks with private providers including Virgin Healthcare about running the country’s first fully-fledged polyclinic before the public had been consulted. ‘It is incorrect to suggest that we are presently subject to a Judicial Review. No case against NHS Camden has been lodged with the courts’. CAMPAIGNERS are threatening legal action over NHS Camden’s decision to hand control of a health centre to a private company. Last Friday (July 31) the group confirmed that the contract to run a new GP-led health centre in Hampstead Road would be awarded to Care UK, a company that in April this year was criticised in a BBC Panorama investigation into the quality of elderly homecare. Campaigners were also furious that NHS Camden’s decision was announced more than two months ahead of the conclusion of their Primary and Urgent Care Strategy consultation on October 9. Leigh Day and Co solicitors have now served NHS Camden with a letter before action on behalf of Camden pensioner, Willibald Davies, who has diabetes. The firm has insisted that NHS Camden should immediately halt the procurement process and the signing of any contract until full local consultation has taken place. Chairwoman of Camden Keep Our NHS Public, Candy Udwin, said: “We are appalled by the idea that more private companies could get a toehold in Camden family doctors services. “The fact there’s been no consultation makes it even more appalling. The proposed development is one of the so called ‘GP-led health centres’ that was being promoted by Lord Darzi before he resigned last month as health minister. NHS Camden’s decision to select Care UK as the preferred bidder follows the controversial appointment of private American firm United Health to run three local GP practices in the south of Camden. However, patients spokesman Neil Woodnick, who is chairman of the Camden Local Involvement Network, said that a consultation would only delay the inevitable. He said: “Even if there is a judicial review and NHS Camden was forced to hold a consultation, you have to remember a consultation isn’t a democratic process. “They could still award the contract to whoever they choose. “At the moment figures show there is overall patient satisfaction at the surgeries run by United Health, so I’m not that worried about the prospect of another private care provider. “But obviously we will monitor the situation closely and see how it works out. We are more concerned about how confusing it is for people in Camden now. A spokeswoman for NHS Camden said that no case against the organisation had been lodged with the courts at the time the Ham&High went to press. She said: “Since 2007 we have made clear our desire to increase access to GP services for the people of South Camden, one of the most deprived areas of the borough. “By the end of 2009 a brand new health centre with a brand new GP practice will open, offering world class health care at times convenient for local residents. No evidence that for-profits surgeries policy is beneficial to patients, she says. THE President of the Royal College of GPs has launched a stinging attack on Camden’s health chiefs for failing to listen to patients. Dr Iona Heath, a partner at the Caversham Practice in Kentish Town, described NHS Camden as “megalomaniac” and branded its current consultation on the controversial GP-led health centre – a new super surgery planned for Euston – a “travesty”. Dr Heath is furious that NHS Camden has named private operators Care UK as its preferred bidder for the massive £20 million contract to run the health centre in Hampstead Road before the public had responded to the proposals. She raised concerns over a recent trend in Camden of awarding major contracts to profit-making companies ahead of familiar local NHS practitioners. Contracts to run three surgeries have been awarded to American health giant UnitedHealth and Camden’s specialist physiotherapy services will be run by the Northumberland-based firm Connect Physical Health. Camden’s community nursing service will also also be offered to private operators later this month. Dr Heath’s comments came as Camden’s branch of Keep Our NHS Public claimed a breakthrough in the Town Hall last Thursday. The council’s health and scrutiny committee agreed to request further advice from Health Secretary Andy Burnham over NHS Camden’s efforts to seek the views of the public. NHS Camden argues it does not need to consult patients on the GP-led health centre, which existing GP surgeries fear will take away their work. But a letter sent in March by then Health Secretary Ben Bradshaw to Liberal Democrat committee chairman Councillor John Bryant suggested the opposite. If the minister confirms that consultation is required, the health scrutiny committee has the power to refer the whole process to the Secretary of State for a final decision. Green councillor Alex Goodman said that NHS Camden should “in good faith” put all contract talks with private operators on pause until the Department of Health had decided it had acted properly. She said planned legal action against NHS Camden over the decision to hire Care UK has been suspended until the minister has given his verdict. ANTI-PRIVATISATION campaigners are calling on patients to boycott a new “super-surgery” in Euston. Private company Care UK as been named the preferred bidder to run the GP-led health centre ahead of a consortium of south Camden doctors and without any consultation. NHS Camden, the borough’s Primary Care Trust, believes it does not have to consult on the centre, which is expected to open in Hampstead Road in December. But lawyers disagree and are poised to launch a legal challenge that could stall the process and land NHS bosses up in the High Court. The decision to give millions of pounds of NHS funding to a private company, ahead of a consortium of local doctors, mirrors the decision last April to award the American healthcare giant UnitedHealth contracts to run three south Camden surgeries. Decisions on who runs what are made by NHS Camden board members and overseen by the official patients’ representative group, Camden Link. Link chairman Neil Woodnick, who sat in on the committee that awarded United Health a contract, said: “We asked, specifically about the GP-led health centre, how much weighting there was on value for money. I was told 70 per cent was quality of the service, and 30 per cent was value for money. “The big thing about United Healthcare was that value for money seemed to come in later. It was said that the PCT moved the goalposts during the consultation. Value for money suddenly became an important thing – UH bid £25 less per patient than the GPs. “The fact is that these contracts are set up as legal contracts obliged to offer it to other firms. You cannot say we are not prepared to take any bids from the private sector – it’s illegal to do that. The whole thing is about outcome. Campaigners are to sue the NHS after control of a new health centre was awarded to a private company. Lawyers have written to Camden primary care trust warning they could start proceedings over the decision to award Care UK the contract for the GP-led centre in Hampstead Road. They are demanding the scheme be postponed until the public has been properly consulted. The trust has angered residents by announcing Care UK had beaten local NHS GPs to the contract — before public consultation ends on 9 October. In a separate move, trust bosses have awarded a contract to provide physiotherapy in Camden to the private firm Connect Physical Health Ltd.
Campaigners fear the new GP-led health centres, which must be set up in every primary care trust in the country under government reforms, will put profits before patient care. Care UK already runs GP practices and walk-in centres in Dagenham and Stamford Hill, and the walk-in centre in Victoria. It also provides some services at Brixton prison. GP leaders in London are demanding that NHS Camden rethink its decision to award the contract for a new GP-led health centre to private company Care UK. They warned there is ‘no evidence’ that the PCT ‘has effectively or meaningfully consulted with the people of Camden’, and urged trust bosses to reconsider, claiming the centre is not the best use of resources or most effective way to provide care. In an open letter to the PCT’s chair, Dr Paddy Glackin, medical director of Londonwide LMCs, said local GPs had concerns about the scoring system used to award the contract, as well as the extent of public consultation. It comes as the Keep Our NHS Public campaign group mulls whether to press ahead with a legal challenge to the contract award. The anti-privatisation campaigners, supported by local GPs and patients, sent a ‘letter before action’ to the PCT on behalf of a local pensioner earlier this month. They have now received a response from the PCT and are discussing with solicitors whether to proceed with the challenge. And he also raised concerns about whether the new centre – near Euston and St Pancras stations – would be used more by commuters and walk-in patients than by local patients. A squeeze on bank lending is forcing private providers to ditch APMS contracts, Pulse can reveal. Chilvers McCrea Healthcare, which manages over 30 practices across the UK, has been forced to terminate its contact to run an APMS practice in Essex because of the tough economic climate. It is the latest in a series of private sector withdrawals from primary care which appear to pose a serious threat to the Government’s drive to ramp up competition. The company’s decision to stop running the Pier Medical Centre in Southend, which includes two surgeries, comes just weeks after its chair, Dr Rory McCrea, warned GPs would find it increasingly difficult to make a profit on APMS contracts. South East Essex PCT is now having to search for a new provider for the contract, which runs out in 2010. Dr McCrea told Pulse: ‘Due to the current economic climate, it was not sustainable for Chilvers McCrea Healthcare to carry on the contract to manage the practice. The move comes after private firm Atos Healthcare recently pulled out of running an APMS practice in Berkshire due to the financial climate and low demand for services. Both Atos and United Health also dropped out of the running for a tender in Sheffield prior to the award of the contract. PCTs are set to dramatically ramp up efforts to entice the private sector into primary care after failing to meet Government targets to increase competition. A series of detailed SHA assessments of PCTs commissioning skills found they had not gone far enough to open up the primary care market. Reports carried out under the Government’s World Class Commissioning scheme show even trusts that have embraced APMS have failed to achieve above average scores, which is set to lead to a renewed drive to meet future targets. The NHS Confederation said it expected many PCT-run surgeries to be farmed out to APMS, as trusts look to entice private providers to run GP services. The reports, many of which marked PCTs down from their self-assessments, offer detailed advice on how trusts can stimulate the market by next year’s assessment. NHS Berkshire West was marked down on two of the three categories for stimulating the market, and advised to ‘encompass a wider range of services provider’. NHS Suffolk, which scored level one, the lowest score, on all aspects of stimulating the market was advised to ‘continue building on its active approach to tendering’. Even Camden PCT, which handed three practices to US healthcare giant UnitedHealth last year, was marked down to level one on all three categories for stimulating the market. David Stout, director of the NHS Confederation’s PCT Network, said it was unsurprising to see PCTs struggling as the market was ‘very new for the NHS’. Mr Stout said while he didn’t necessarily envisage an immediate expansion of APMS, he did expect many PCT-run services and any new contracts to be tendered. But Dr Chaand Nagpaul, GPC negotiator with responsibility for commissioning, said the drive to increase competition had ‘nothing to do with improving healthcare’. Companies led by GPs are the big winners in the Government’s rollout of APMS services and are dominating the bidding for services across the country, a new analysis reveals. But a new breed of business-minded GPs are blurring the boundaries between general practice and the private sector and in some cases pitting GP against GP. One GP-led company has now secured a contract to run services hundreds of miles from the practice at which it is based, yet local GPs are often struggling to win bids. Academics from the Health Services Management Centre, based at the University of Birmingham, found that since 2004 113 tenders had been won by new market entrants, including a long list of new born GP companies. GP-led firms have won ‘significantly more practices than either corporate providers or social enterprises’, it adds. Well known companies such as United Health, Atos and Care UK make up just 9% of the total figure, with GP-led companies gaining 89% of contracts, and not for profit social enterprises the remaining 2%. But the researchers admitted it was now increasingly difficult to distinguish between GPs and private providers. The rise of APMS has had another controversial twist, pitching local GPs against bidders often from far afield. Pulse revealed in September that many local GPs had failed to make it past even the initial stages of bidding for Darzi centres. Professor Ham said the research had revealed widespread concern about the quality of local bids, which had been embarrassed by more professional bids by GPs turned entrepreneurs. Local GPs have often found themselves outgunned. Last week, Kent-based GP group Malling Health was announced as preferred provider for a new Darzi practice in Weston-Super-Mare, North Somerset, nearly 200 miles away. But Dr Thomas Reichelm, development lead for Malling Health, said: ‘We’re aware there might be some initial rejection but we’re fairly confident that by meeting people in person, we’ll be able to convince them we have no bad intentions. ‘We’ve already started the process of finding out the local sensitivities and what matters locally. It’s quite refreshing to bring a new outlook and perspective. Investor owned companies, usually operating for profit. Do not have access to the NHS pension scheme. Key players: United Health UK (5 practices), Care UK, (3 practices), Atos healthcare (2 practices). Source: Health Services Management Centre – Choice and Competition in Primary Care: Much ado about nothing?